There's nothing more satisfying or hearty than oat bread. I found this recipe years ago in a decades old cookbook that is no longer in my inventory of cookbooks. Thank goodness I had written it down and kept it. I make this bread whenever I make corn chowder. A taste of the old west in my own kitchen! Place oats in a small bowl. Pour boiling water over them. Let set 30 minutes or until water is absorbed and oats are lukewarm. Dissolve yeast in warm water. 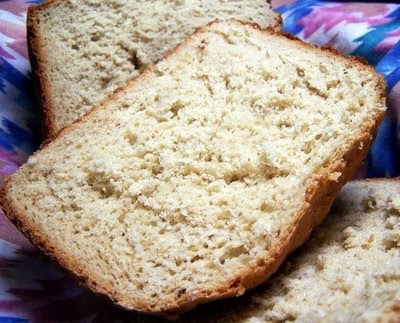 Place all of the ingredients in the pan of your bread machine in the order suggested by manufacturer.